The current arctic blast has brought sub-zero wind chill. This is one of our 16 Mourning Doves. 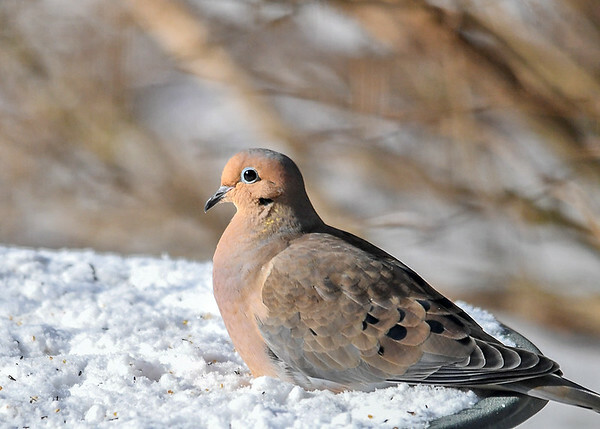 She is using the frozen bird bath covered in snow to keep her legs and feet warm.